In the past three decades the United States’ incarceration rate has exploded, with seven million people currently behind bars, on probation, or parole. Considering the enormous scope of this population, the Obama Administration has unveiled a new initiative that will allow more people who are incarcerated to use federal financial aid (Pell grants) to access postsecondary education. Prisoners could use these grants for college classes, which will help them find work, support their families and lead productive lives once they leave prison. Anyone who believes in education’s ability to open minds and change lives should fully support this shift in policy that will open educational opportunities to a severely underserved student population. As it stands, incarcerated Americans have little, if any, access to that education. This is unfair and shortsighted, as 95 percent of inmates will be released at some point; those without education will face few opportunities and daunting odds. But having postsecondary education and training will undoubtedly put them on a path that better supports our economy and society. Current postsecondary attainment efforts aim to provide underserved student populations access to high-quality educational opportunities. These efforts exist because education is the ladder to mobility for these populations, but also because it produces the qualified workers and civically engaged citizens that strong communities need to thrive. Yet incarcerated Americans are too often left out of such efforts, despite the fact that many of these men and women share so many of the characteristics of other underserved students. Inmates are low-income: Recent findings from the Prison Policy Initiative demonstrate that incarcerated people had a median annual income of $19,185 prior to their incarceration, which is 41 percent less than non-incarcerated people of similar ages. Inmates disproportionately hail from communities of color: Research tells us that Blacks are incarcerated at five times the rate of Whites and Hispanics are twice as likely to be incarcerated as Whites. Inmates are often adults: The Bureau of Justice Statistics reports that one-fifth of jail inmates and two-fifths of the general population left school because they needed to earn money. A common observation about those who are incarcerated is that, well, they did something to deserve being behind bars. But it’s important to acknowledge some hard facts about our criminal justice system. First, the explosion in our incarceration rate has been driven by an extraordinary increase in convictions for drug offenses. In fact, there are more people in prisons and jails today for just drug offenses than were incarcerated for all reasons in 1980. Arrests for marijuana possession alone accounted for nearly 80 percent of the growth in drug arrests in the 1990s. Such policies disproportionately impact communities of color. People of color experience discrimination at numerous stages of the judicial system—they “are more likely to be stopped, searched, arrested, convicted, harshly sentenced and saddled with a lifelong criminal record.” Prosecutors, for instance, are twice as likely to pursue a mandatory minimum sentence for Blacks as with Whites charged with the same offense. So before shutting the doors to educational opportunity to an entire population based on perceived notions of “what they deserve,” we have to recognize the bias and inequities that plague our criminal justice system. But even if you accept the premise that everyone under correctional control did something wrong to deserve their circumstances, how do we expect them to turn their lives around and become productive members of their communities upon release? The research is clear: providing educational opportunities to inmates enhances the economy and improves public safety. If we really believe that the true power of education lies in its ability to help people reach their greatest potential and transform their lives, we must expand our national postsecondary attainment efforts to include this underserved student population. As Maya Angelou said, “When you know better, you do better.” And doing better means that we must stop ignoring our nation’s mass incarceration crisis and help these citizens better equip themselves for lives outside prison. This would be a smart investment that would give many men and women new skills—and new hope—allowing them to support their families and strengthen our communities. 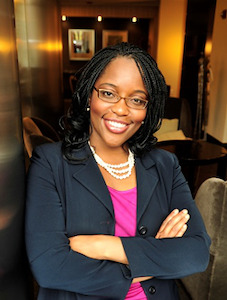 Michelle Asha Cooper, Ph.D., is President of the Institute for Higher Education Policy (IHEP). 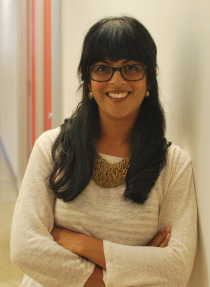 Julie Ajinkya, Ph.D., is Director of Applied Research at IHEP.